Rental inspections are just one of many duties a landlord is tasked with. It doesn’t matter if you’re dealing with boisterous tenants that leave you to worry about the condition of the property or great tenants who are as quiet and clean as can be. You’ll need to inspect the rental regardless. After all, it’s a high value asset that you own and maintain. Since some tenants might feel like inspections are a little bit invasive, you need to keep an excellent relationship and an open line of communication with your tenant. When inspection time rolls around, you need them to understand that you’re there to help keep their rental home in excellent condition. An inspection is a process you perform for your documentation. It helps you track the maintenance and condition of your Tucson rental property. This allows you to address small concerns before they become expensive repairs. The property is viewed inside and out with the tenant, who can report any issues they’ve been aware of and explain how and when they occurred. Tenants also benefit from the inspection process. It allows them to avoid liability for any issues that may have been overlooked or unreported by the previous tenant. These may include a problematic toilet in a bathroom they never used or leaks that may have sprung up while the property was vacant. You’ll be able to fix these issues and prepare the property for the tenant, or fix them while the tenant is living there. Why Do I Need to Perform One? There are a number of reasons why home inspections are important. The two most important are the way the security deposit is handled and the state of repair of the property. If issues arise that weren’t present during your inspections, you’ll be able to hold the tenant liable if they were the cause of the damage. They can also help you spot damage to the property before it becomes expensive to repair. Things like mold can take over quickly. You’ll want to catch that issue while it’s new. Otherwise, it can cause extensive damage that may cost tens of thousands of dollars to repair. 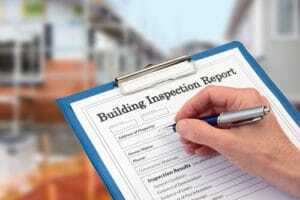 Inspections protect both you and the tenant when damage is found. How Often Should I Inspect My Rental? The two most important times to conduct thorough inspections to your rental are when a tenant is moving in, and when a tenant is moving out. Entry reports can be compared to exit reports. This allows you to assess any unreported damage from the duration of the tenant’s stay. Photograph and document damage during this time, having the tenant sign off on the report. This protects your tenant when they move it by showing that you were aware of the damage that was present when they moved in, that you intend to fix it, and that they won’t be held liable for it. Perform inspections for tenants move-outs as late as possible. Moving is likely to cause damage to the home via dents in the walls and floors when people are moving heavy objects out. Ideally, you’ll want to wait until most (or all) of the tenant’s belongings have been removed from the home for a thorough exit inspection. You’ll also want to check on the rental periodically throughout the year. As a landlord, many maintenance issues become your responsibility. Checking on your rentals seasonally or biannually will allow you to keep track of what you need to fix. It shows your tenant that you care about the property. If your tenant reports any issues with the home, you’ll want to schedule an inspection as soon as possible. This will allow you to promptly address their concerns. How Do I Handle An Inspection? You can arrange a loosely scheduled routine inspection or schedule an inspection based on something you saw from the outside of the home. This can include junk on the lawn, a lot of cars that don’t belong to the tenants, or anything else that might signify from the street that something unusual is happening in your rental property. You need to give your tenants notice that you’ll be coming. Different laws in different areas require different amounts of notice, but expect to tell your tenants in case a week in advance. You want your tenants to be present during the inspection. They might want to ask you questions or request that you repair something that falls within your responsibilities. Let them know why you’re coming by. You don’t want your tenants to feel as though you don’t trust them. Explain that these inspections are routine and that they help you be an attentive landlord. These inspections are just as much for their benefit as they are for yours. You’ll want to take pictures of damage or concerns, and write down a description of what happens. When you’re doing so, make sure you’re respecting the privacy of your tenants. Don’t photograph them or their stuff. It feels intrusive to have someone taking pictures of your belongings. In the event that you notice damage or issues with the property, do not become hostile with the tenant. You might be upset about it, particularly if it’s going to cost you a lot of money to remedy the issue. Confronting the tenant can create a negative situation that will lead to a complicated dispute. If the tenant is upset with you because he or she feels you’ve failed to perform your duties, don’t allow the situation to escalate. Just make sure you live up to your promises and responsibilities, and promptly resolve the issue. It takes a lot of time to be a successful landlord. There are so many responsibilities that come with maintaining a rental and keeping a positive relationship with a tenant. If you just want to collect some cash from your rentals, you can always hire a property management company. That’s where we come in. You can be an absent landlord, and New Concept Property Management can do all of the groundwork for you. Get in touch with us today at (520) 551-7247 to learn more.